A healthy and well-kept ornamental landscape adds beauty and value to your home. Nutrient deficiencies, damaging insects and mites, and disease problems harm the health, appearance and value of your trees and shrubs. Greensman’s Tree and Shrub Care program offers insect, mite and disease treatments that will target the specific needs of your ornamental trees and shrubs. We also fertilize trees and shrubs with a deep root injection method and/or surface fertilizer applications. We can advise you on proper pruning methods and timing, plant selection, physiological (non-pest) problems, potential tree hazards, and when removal or pruning is the better option. Greensman’s certified arborists can advise you on just about everything you can do to keep your trees and shrubs as healthy and attractive as possible. Contact us and we’ll send out a certified arborist to inspect your landscape and give recommendations for proper care specific to the needs of your trees and shrubs. We hold ourselves to the highest industry standards. Our clients lawns are our best testimony. Our clients speak out. We love to hear from you. We have been helping both commercial and residential clients with their lawns, trees, shrubs and more for over 10 years. Lawn care, weed and feed, trees, shrubs, aeration, insect control, winter salt delivery, certified arborist, commercial and residential. 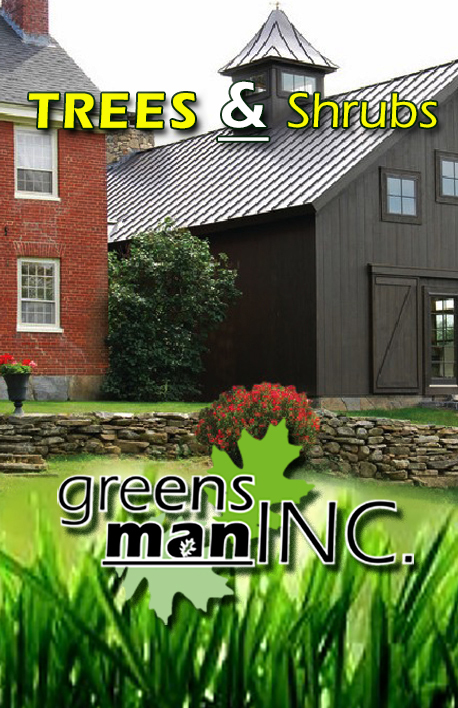 We strive to stay current with technology and Eco friendly products for your lawn. We offer "Extended Life Fertilizer" which is a new hi-tech lawn treatment product for your lawn. Ask us for details.